Here's one last post before saying bye bye to 2012 and a hello to 2013!!! I was on instagram scrolling through all images taken by fellow instagrammers and I got stumbled upon snowandgraham's. 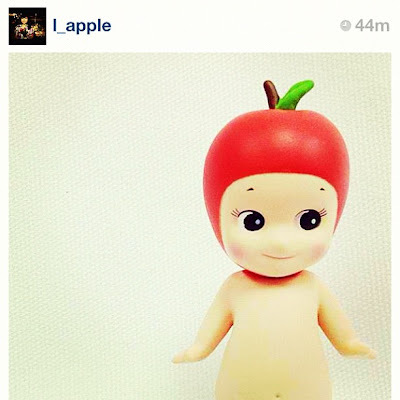 Her caption and picture image pricks my interest and so I did a little googling to read up more about this product. I must share it since it seems like the most appropriate thing to own for any kind of quirky celebration and for those who love a good find. 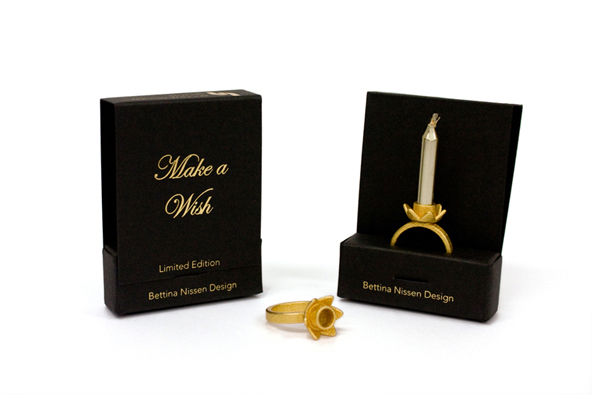 This ring is designed by designer Bettina Nissen. 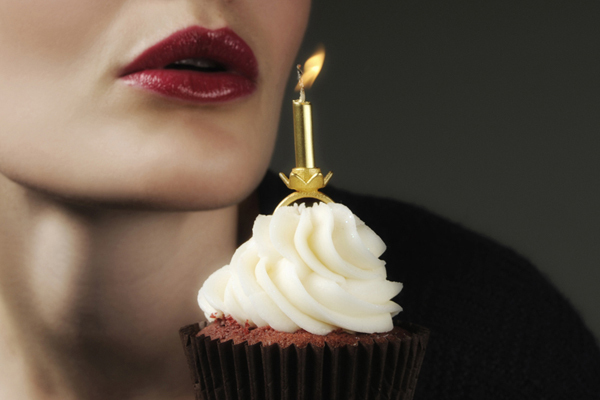 “Make A Wish” interprets the moment of happiness when blowing out the candles on a cake. 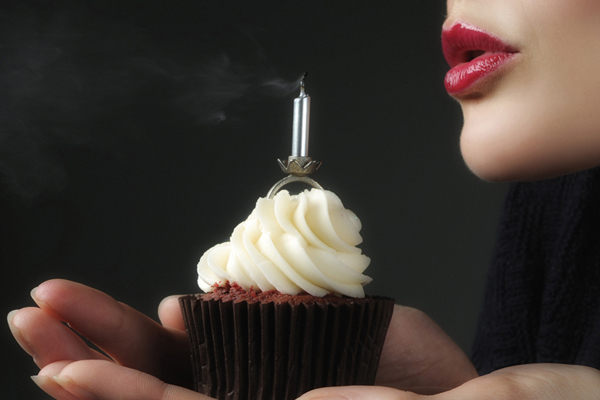 The iconic birthday cake candleholder is transformed into a piece of jewelry that serves as a keepsake of a special day. Buried in a cake as surprise or presented in its beautiful packaging “Make A Wish” will turn anyone’s birthday into a memorable event. Scroll down to oggle at these beauties which are available in 5 different colors! 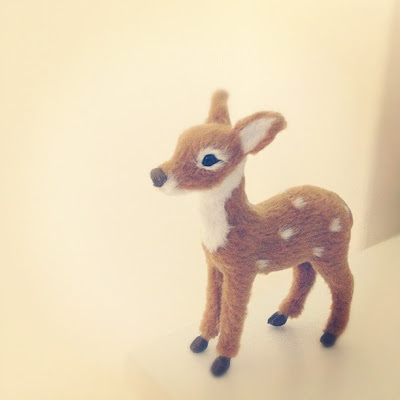 Today is the eve of the new year and I am thankful for all of you who read my blog. Thank you for your support and love. I am determine to grow in leaps and bounds and lets blow off the candle and close a chapter of our year and onwards to 2013!!! Happy New Year in Advance! I pretty active on instagram and twitter. 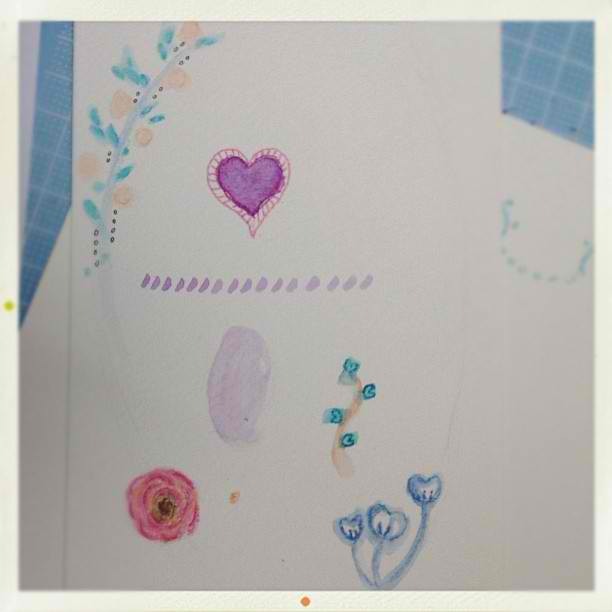 Scroll away for some instagram goodness for those who loves pretty manicures and nail art. No. 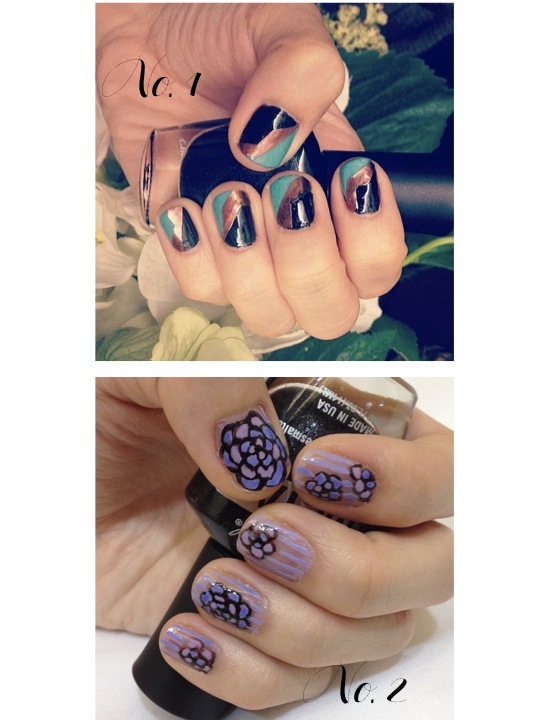 1,2,3,4 are some great shapes and floral favourite from @ohailnails. 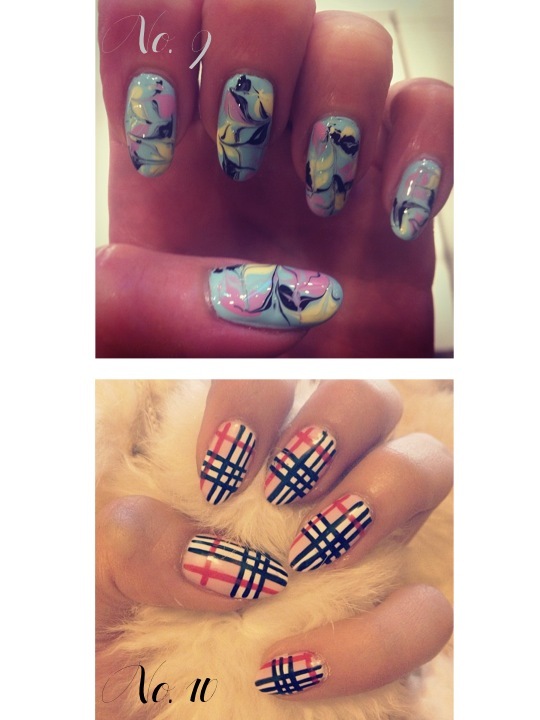 Befriend with this nail fanatic via Instagram! No. 5,6,7,8 are hotties.. so rad!! 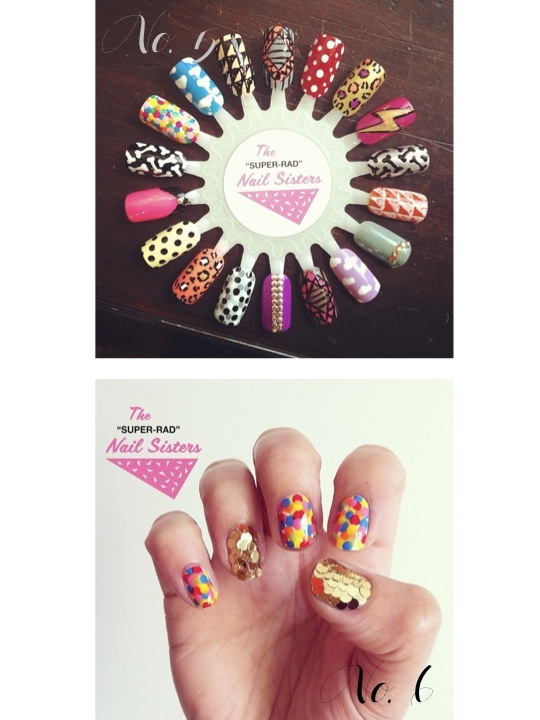 I have been following @radnailsisters. They are definitely what they believe in..."Super Rad Nail Sisters are for those who love a Miu Miu handbag but respect a good sneaker. 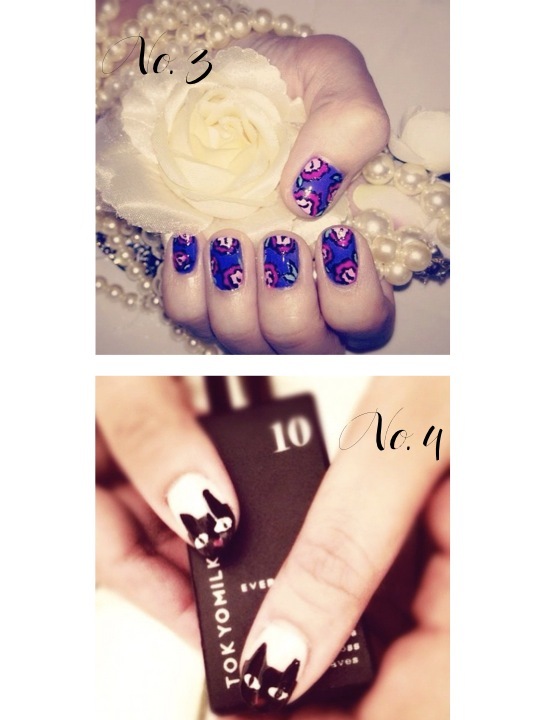 Last but not least... No.9 & 10Nail illustrations by the famous Wah-nails. 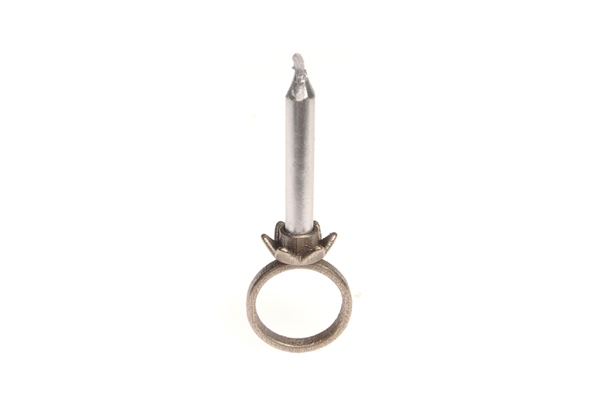 Cottongoesballistic is crazy for this site : Wah-nail.com. This site has all the idea bank and crazily colorful nail arts for one to bemuse with all day! 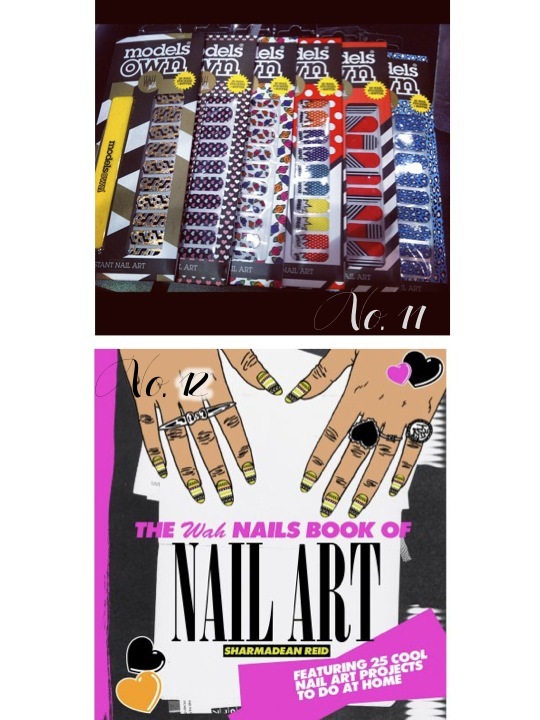 If you are a die-hard nailart fanatic, you must not miss a copy of their book (Click on No. 12 to link you to where you can get a copy). 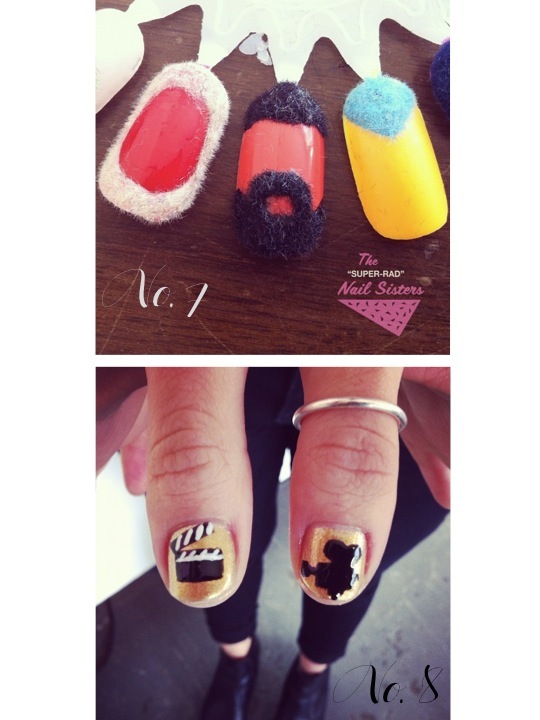 They even collaborated with Models OWN to come out with series of nail art stickers! So what are some of your favourite nail artists, blogs, websites, celebrities or even nail IG-ers? Let me know in your comments below! They may be featured in my next blog post! There is a time when Cotton,as a blogger got so soaked up and turned into a mulch with all the "dirty rainwater and sewage" (yucks**)... been uninspired lately and hence unmotivated. 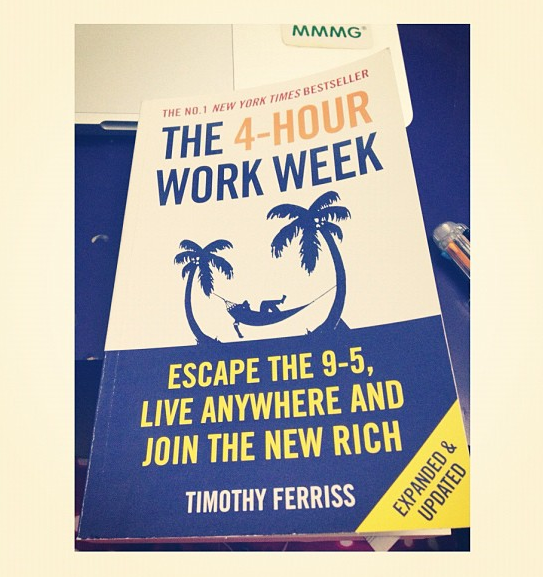 It took her 2 months to finally decided that parting with SGD 31.95 to buy Timothy Ferriss's phenomenal book is every cent well spent. Only merely 10 pages into her reading, her mind just did a somersault and then her fingers just had this tingling feeling of excitement to continue on reading when well pass her intended time allocated to read. So what's so interesting? Hahaaa... Cotton is starting to learn the trades of breaking rules (** eyes twinkles). If You think 50 Shades of Grey is worth reading, she bet you have not read The 4-hour Work Week. By no means she is comparing these two different genres of readings, she is just trying to say that she is questioning how can a person take in all those untrue graphical sexual ramblings and still be titillated? Anyway, Cotton has a gut feeling that, the only possible reason why both books are best-seller is because : Both authors are teaching readers to defy rules and mock what the society wish to define as NORMS. By all means, Cotton is NOT normal. In fact, she is abnormal. She claimed that because since she was a tiny cotton ball she deferred from the mainstream path which most of her peers took. She does not attempt to scale the corporate ladder, neither does she strive to be famous. Over here, she is trying to live joyfully in abundance. Not much to ask for but somehow, life can be so challenging that you wish you can raise a white flag and just come to a standstill. Okay, Cotton is reverting to being vague and ambiguous about certain things, but all she needs to tell you is that she is trying to be relevant but at the same time obscure... You don't get it? It is okay. What she says will perhaps jump at you when you will ever come into a juncture where you wish to share your thoughts but keep to keep some privacy for yourself too.
" Anyone who lives within their means suffers from a lack of imagination." As you know everything in this world is transient and you and me are just temporarily residing in this living space. So what makes your blood burn and your eyes sparkle? What hurried the beatings of your heart? What stops you in your footsteps and be still? If you are numb to these strong feelings, you are not breathing and living. You are not fulfilled and you are simply going through this passage of a tedious life without a purpose nor a cause. 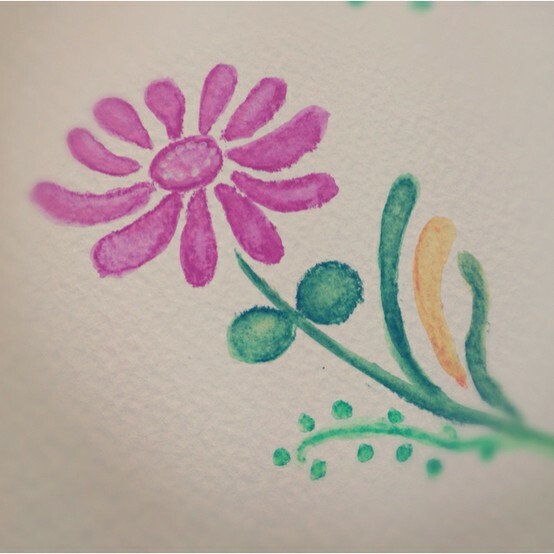 A bed of roses is not being sought after by Cotton, instead she wants to taste all the sweetness, bitterness, sourness and the spiciness of what life offers. Life is to be celebrated. Come what may, as long as you are living and you know that your Creator is watching over you, you may jolly well live in his grace and his love. This week, Cotton had her divine blessings~~~ this is not a joke, paycheck comes in and she is happy that she is another step closer to be a debt free person (*student loan...oh~ in case you may wonder, there is no such thing as free education here in Singapore. The reality is that you either have rich Dad and Mum to give you study aid or your grades are so grade that you garner a scholarship. Otherwise, mostly, we are debtors even before you get a proper paying job. Vulgaries of life, but this is what makes life interesting!) What honesty is there if this blog is not as close to the truth of how the blogger feel and experience? Hahaha~ one policy of mine : Stay clear of hypocrisy as much as possible. You do not want to be caught doing what you preach otherwise. Alrights! Back to blessings, she is blessed with wonderful sense of sight, touch, hearing, smell and taste. Cotton saw, gave and own some of the things you have seen in the pictures above. Love more weekends like this. 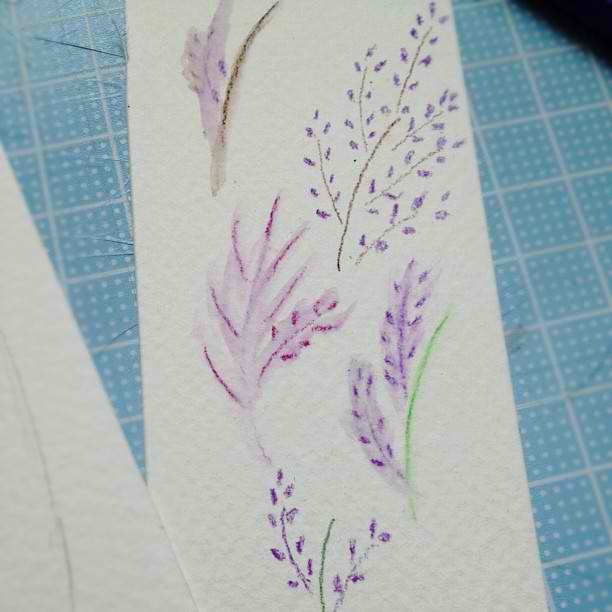 Dear ones, how are you spending your weekend? Needless to say for Cotton, she has got to do lots of Cinderella work... The invisible dusty friends have once again invaded her space irritating her very much with sinus. *Dunk! Anyhow, Cotton was on Pinterest just now, and came across a really interesting blogger, Jessica Hische, who shares about something close to heart. You can read the article here, she has well-laid out her views in a very concise manner. 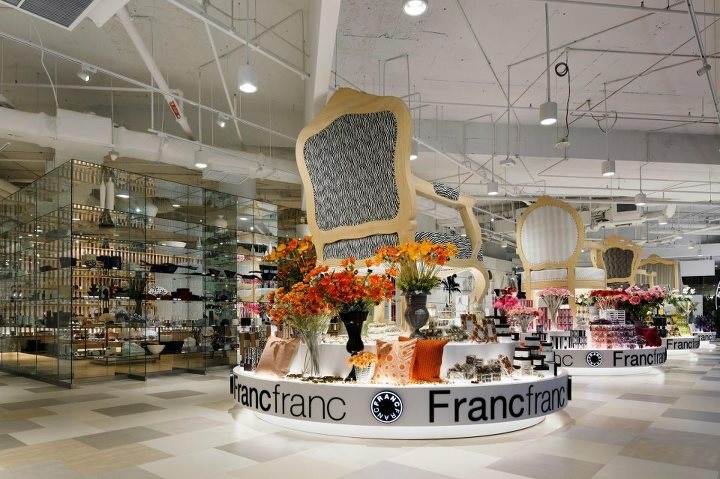 Addressing the distinction between Inspiring and Imitating. As a designer, Cotton has very often went into this kind of insecurities about her work. Put up your hands if you are like Cotton... we are so expose to the works of our "Heroes" so much so that we are incapacitated by our imitating abilities and decidedly lack out own input of creativity in our work. Hopefully after reading her write-up, you'll be as refreshed as ever! Allo Allo...Is everyone still with me? I am suffering so much from the heat right here... O dear rainclouds, where have you been? It is time you come look for me!